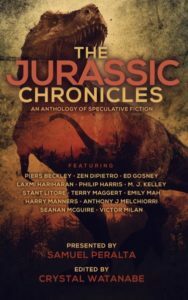 My short story, Glitch Mitchell and the Island of Terror, has just been published in the new Future Chronicles anthology – The Jurassic Chronicles. Island of Terror is a return to the characters from my novel, Glitch Mitchell and the Unseen Planet, and as you can probably guess from the title, it’s another pulpy, action adventure tale. It’s a standalone adventure, but if you haven’t read Glitch Mitchell and the Unseen Planet, it’s on sale at the moment for just 99c – CLICK HERE TO GET YOUR COPY. To celebrate the launch, I’m running a few interviews here on the site. Today, I’m talking to the series editor of The Future Chronicles, Samuel Peralta. How did you get started with the Future Chronicles anthology series? I wrote a spec short story, “Trauma Room”, to prove what I could do with a thousand words — build a world, with a compelling main character, in what was at the same time a thriller and a love story. It got me entry into two anthologies that propelled me into the bestseller lists, with the stories “Hereafter” and “Liberty”. That segued into me putting together an anthology with editor David Gatewood, built around the robot theme of my fourth story, “Humanity”. The success of that first Future Chronicles anthology was the inspiration for what is now a series of nineteen consecutive titles, all Amazon bestsellers. It’s been amazing. Why create an anthology of dinosaur stories (other than the fact they’re awesome)? Along with being a playwright, my father is an anthropologist and archaeologist, and was curator of the National Museum of the Philippines. When I visited him at work, he would take me behind the scenes of the exhibits, where staff worked on the bones of ancient mammals – cleaning them, putting them together, creating realistic depictions of what the animals looked like alive. But there were no dinosaurs! He told me that this was because in the age of the dinosaurs, most of the Philippines was deep underwater – and rose millions of years after they’d gone extinct. That awoke my lifelong fascination with dinosaurs, both scientifically and in the arts. That’s reflected in my piece, “Resurrecting the Dinosaur”, which is a poem based on hard science! The Jurassic Chronicles is another result of that fascination. As a post-script, the first dinosaur fossil – of a Megalosaur – was finally found in the Philippines in August 2014. And yes, dinosaurs are awesome. What do you enjoy most about the experience of putting an anthology together? I enjoy three things the most. First, discovering for myself authors and stories that show the fire of brilliance. Second, living vicariously through new authors whose published story validates all their artistic striving. Third, living vicariously through my readers as they themselves discover new authors and stories to illuminate their lives. 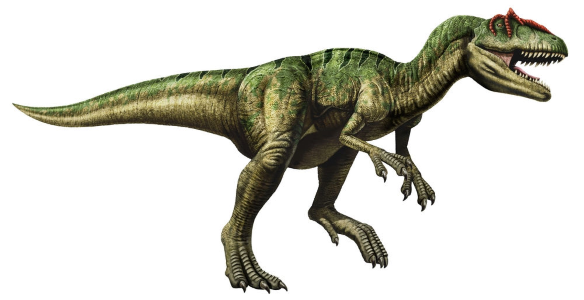 I’m partial to Allosaurus, a true creature of the Jurassic. It’s smaller and more compact than Tyrannosaurus Rex, and you may think it doesn’t hold a candle to the T. rex, but watch out! When it goes after something, it’ll be relentless. That’s me in a nutshell. What’s coming up for the Future Chronicles series? 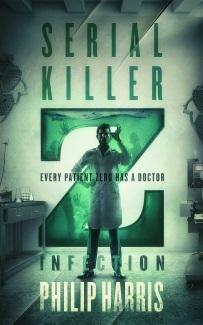 Gosh, there are about ten or eleven titles now in production, so it’d be a mouthful to name them all. Among them are The Gamer Chronicles; the third alternative history volume Alt.History 103; the pulp-inspired Chronicle Worlds: B-Movie; a collection from the perspective of animals, Chronicle Worlds: Dystopian Tails; and, what could be a finale, The Mars Chronicles. Not sure what’s in store after that, but first I’m going to be taking a long vacation. Get your copy of The Jurassic Chronicles here!